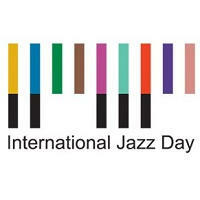 International Jazz Day was created to “highlight jazz and its diplomatic role of uniting people in all corners of the globe.” This day was created by the United Nations Educational, Scientific and Cultural Organization in 2011. The idea for this amazing day was created by jazz pianist and UNESCO Goodwill Ambassador Herbie Hancock. Jazz Day is chaired by Hancock along with the sitting UNESCO Director-General. When is International Jazz Day Celebrated? It is celebrated annually on April 30th. How is International Jazz Day Celebrated? The city that is hosting the celebration will hold all-star Global Concert, which typically involves many famous jazz musicians from around the world performing in or around a historical landmark. They are often joined by artists from other genres as well. You can watch previous concerts on YouTube. Find a local jazz club and go with friends to experience this truly American music. If possible, travel to the host city to enjoy a full day of activities and music. The day promotes jazz as a dialogue among cultures that helps embrace diversity and deepen respect for human rights and all forms of expression. It is seen as a human equalizer. The birthplace of jazz is New Orleans, Louisiana, arising during the early part of the 20th century. New Orleans was one of the most diverse cities at that time and the various types of music eventually blended to become early jazz. The first jazz recording was in 1917 and its popularity grew quickly. Jazz is a type of musical expression that is partly planned and partly spontaneous – improvisation is considered the defining element of jazz music.